bartlett mitchell, one of the UK’s leading independent caterers, has launched ‘Food to Go’, a sustainable new ‘grab and go’ food concept. 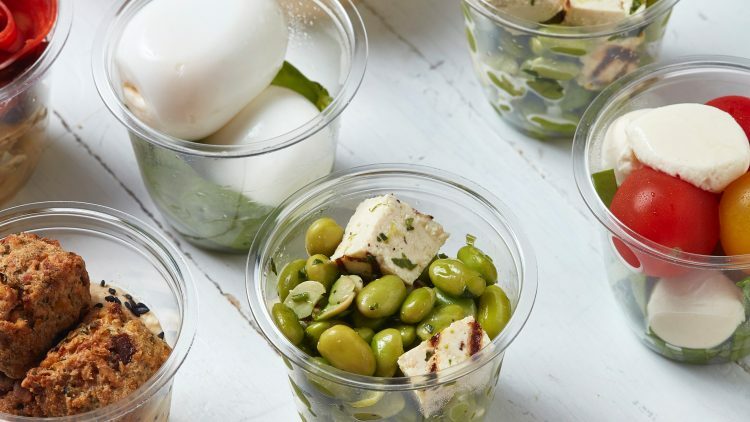 Its range of sandwiches, wraps, salads, snacks and desserts have been developed to provide a fresh and nutritious alternative to high street options while reducing the impact of lunchtime packaging waste. bartlett mitchell’s ‘Food to Go’ will deliver options to these consumers in an environmentally friendly way. It has developed bespoke packaging that uses 100% recyclable plastics and cardboard, in addition to the sandwich packaging film that can be composted within 12 weeks. More than 80 recipes have been created for the range and will be made fresh at its locations each day. These include buckwheat, edamame beans, baby spinach and sweet potato with tomato and cucumber salad, beetroot, almond and cranberry bircher muesli and linseed roasted salmon with free range egg, courgette and baba ganoush wholemeal wraps. The ‘Food to Go’ selection will be refreshed quarterly to tie in with seasonal events and produce and to keep pace with food trends. It includes vegetarian, vegan and gluten and dairy-free options with identifying icons for consumers. Nutritional information will be displayed on labels and the products will be listed on My Fitness Pal – appealing to diet conscious consumers. The concept was trialled at a client site in Canary Wharf and benchmarked against high-street equivalent products. Around 5,000 people were surveyed during the trial with customers able to provide feedback on the range. ‘Food to Go’ was developed by Emma Sison, marketing designer; Steve Fox, purchasing director and David Steel, development chef – in line with bartlett mitchell’s sustainability policy. The company was the first contract caterer to achieve the Sustainable Restaurant Association (SRA) three-star status for its commitment to sustainability. Lin Dickens, marketing director, bartlett mitchell, said: “The popularity of grab and go continues to increase but we know that customers are concerned by the amount of waste their packaging creates. “Sustainability is extremely high on our agenda too, and in developing this range we were committed to reducing the environmental impact of grab and go. Our solution was to invest in bespoke packaging that can be thrown in the recycling bin.